In 1995 a secret weapons drop was set to take place in India. The principals were a Danish idealist and a British arms dealer. But nothing went according to plan. Andreas Koefoed’s real-life thriller The Arms Drop documents the affair that continues to impact the lives of everyone involved. Niels Holck, a Dane, is on a plane over India’s West Bengal in 1995 on a mission to drop four tons of weapons to a movement fighting the local communist regime. With him is Peter Bleach, an Englishman, who has an entirely different agenda. After a career in the British army, Bleach has set up shop as a legitimate arms dealer. When he receives an order from Holck to supply a large amount of weapons, he knows right away it isn’t legal and notifies the British authorities. London asks Bleach to move forward with the deal. They also assure him that the British authorities will get him out of the case and hold Holck accountable. That’s what Bleach expects, the documentary filmmaker Andreas Koefoed says, but London never comes through for him. Andreas Koefoed’s The Arms Drop tells the story of the dodgy arms deal that had far-reaching consequences for its two partners. The first dramatic highlight comes in 1995, when Holck and Bleach meet on the plane to carry out a mission that goes completely awry. But the story also has a more recent dramatic highlight that has received far less attention than the actual arms drop. In fall 2010 and spring 2011, the Danish government files suit against Holck in response to India’s demands for extradition. When the case is tried in Denmark, Bleach shows up to testify. Koefoed tracked both Holck and Bleach with his camera prior to their court appearances. “We see the victim return and decide, in an apparent act of forgiveness, to help the man who should probably have received the punishment he got. Bleach does not want another human being to suffer what he suffered,” Koefoed says. While The Arms Drop describes an action-packed historical event, for Koefoed it is also a portrait of someone who was an uncompromising idealist in his youth. With his editor, Adam Nielsen, Koefoed strove to shape the material to move and touch the audience. More than anything, perhaps, The Arms Drop brings to mind an adaptation of a John le Carré thriller culminating in a human drama. The Arms Drop, selected for Masters at IDFA, is produced by Miriam Nørgaard for Fridthjof Film. Director, born 1979. Graduated in documentary direction from the National Film School of Denmark in 2009 and in sociology from Copenhagen University in 2004. 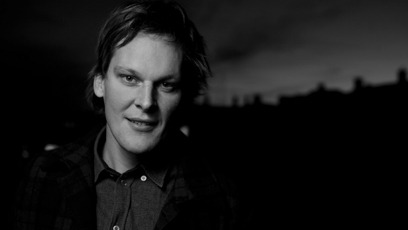 Koefoed has a unique IDFA track record, with The Arms Drop (2014), screening in Masters, being his seventh film in seven years to be selected for the festival: his short films A Day in the Smoke, 12 Notes Down, Albert’s Winter, and Pig Country were all at IDFA. Ballroom Dancer (with Christian Bonke, 2011), Koefoed’s first feature-length documentary, and The Ghost of Piramida (2012) were selected for IDFA competition. Producer at Fridthjof Film. Films include The Arms Drop, Pixadores (Amir Escandari, 2014, as co-producer), Mercy Mercy (Katrine Kjær, 2012). In production with Shadows of a Hero (Laurits Munch-Petersen, 2015). How do you tell an intricate story such as this in a film? 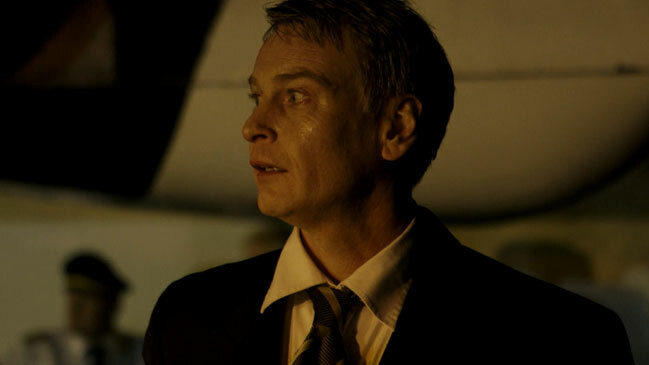 A story that, to boot, has two quite complex protagonists in Niels Holck and Peter Bleach? The Arms Drop alternates between reenactments of the 1995 arms drop and present-day documentary footage of Niels Holck’s court battle to avoid extradition and Peter Bleach’s search for answers to why the British government left him hanging. During the lengthy process of developing The Arms Drop, Andreas Koefoed got support from the writer and journalist Øjvind Kyrø, who co-wrote the 2008 book They Call Me a Terrorist with Niels Holck. To make the many reenactments, Koefoed worked with the director James Marsh, a Copenhagen resident, who won an Oscar for his documentary Man on Wire, a film that also includes reenactments. Also, Koefoed worked with the DP Manuel Alberto Claro (Nymphomaniac), who had a big hand in breathing documentary life into the reenactments. 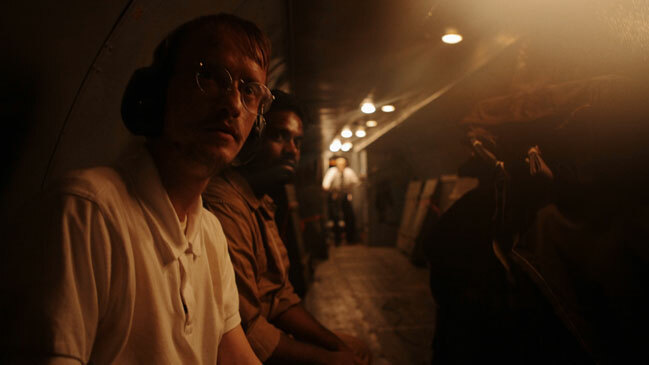 Writer-director Tobias Lindholm (The Hunt, A Hijacking), working from Koefoed’s interviews with Holck and Bleach, wrote the script for the reenactments of the 1995 events, including the dialogue for the two actors playing Holck and Bleach. For Koefoed and the film’s producer Miriam Nørgaard, it was important to bring the reenactments on a par with fiction films.